The Pub(lication) for all about the Flutter & Its magic!!! Android toast notification can use to give a quick message to the user and It will disappear after a few seconds. I would like to tell you a story about how I decided to migrate my project on Flutter and end-up reinventing a wheel. Let there be payments, and there were!!! 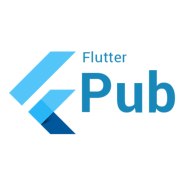 Hi All, in this story, we are going to learn to create a form in flutter application. Google announced v1.0 of Flutter at Flutter Live yesterday and it looks like it’s growing up!